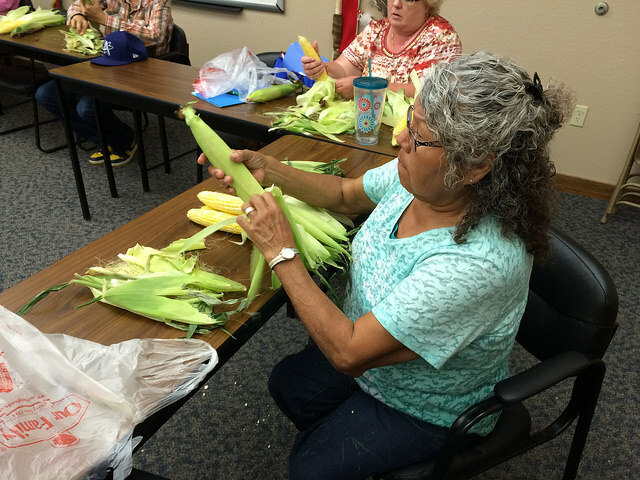 After a delightfully productive week, we are saying goodbye to our MHASI 2015 participants…but only until next year! Last week, we lay a lot of groundwork for Teaching Methods Level 1 in all three MHA languages, which included an overview of the sounds, the spelling, the writing, and the reading. Participants focused on familiarizing themselves with the layout of the textbook. This week, we had the pleasure of working closely with Hidatsa speakers to edit, revise, and improve our Level 2 Hidatsa Textbook which is anticipated to come out next month! Check the Hidatsa Facebook page for a video of Martha BirdBear, Mary Gachupin and Arvella White, having fun while editing Hidatsa Level 2 workbook with instructor John Boyle! 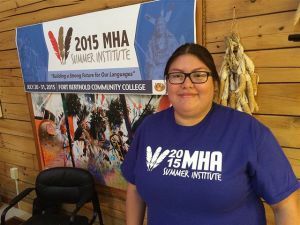 We interviewed organizer Bernadine Young Bird along with participants Martha BirdBear and Lisa Casarez to ask how they felt about this week’s activities and the Institute over all. 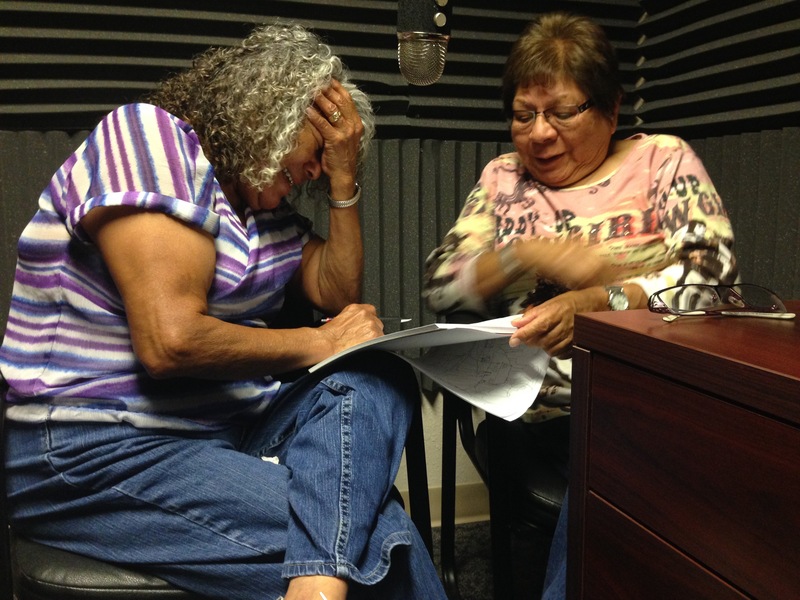 Martha and Mary having fun during a recording session. Did you know? 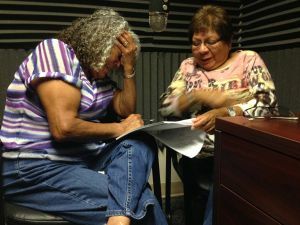 Martha and her sister Mary Gachupin have been working with us to record the language and to help create many new Hidatsa language materials for future learners and speakers. 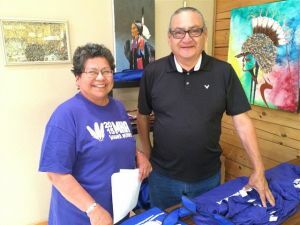 We thank them for their language preservation efforts! We would like to thank Fort Berthold Community College, the organizers, and the participants of MHASI 2015 for such a welcoming reception of the Institute in MHA Country! We are looking forward to next year’s institute; with new materials, more participants and additional classes to look forward to, we are certain we’ll have a great year ahead of us!